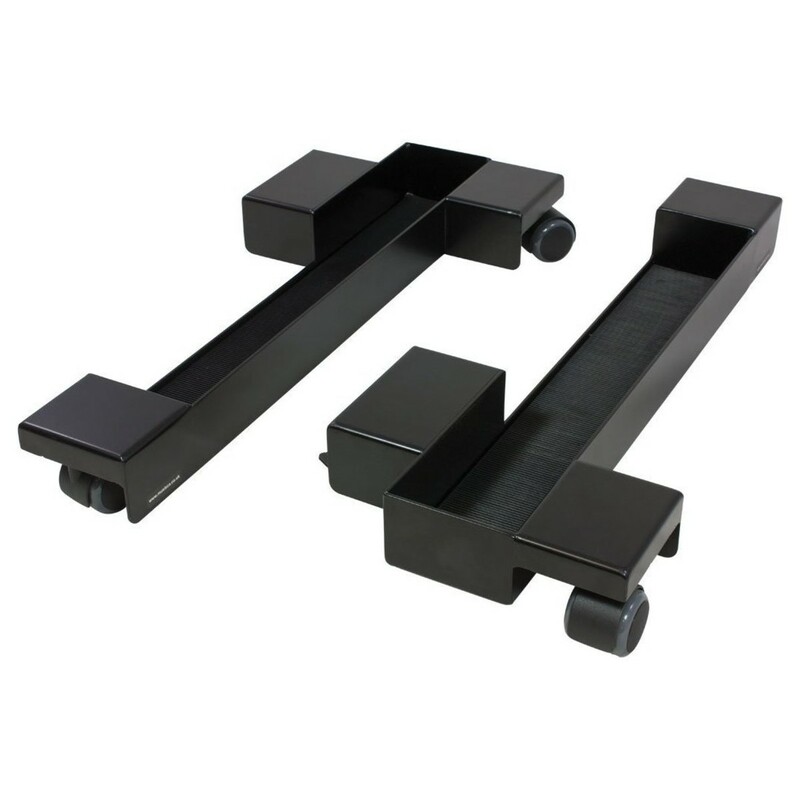 The Musisca Pair Of Glide Digital Piano Castors are heavy duty piano movers that are shaped to fit the new yamaha clavinova digital pianos with the traditional front leg design. These high quality and heavy duty castors allow easy maneuverability with scratch free wheels that protect your piano's base and the flooring. The low profile design keeps your instrument only 18mm from the ground. This is because keeping a low ground clearance allows better stability of your instrument. The new yamaha models are rear heavy, which is why the rear wheel has been positioned around the back of the instrument to help increase the stability. The non-slip shoes keep the piano still in the bracket, this allows you to play with confidence and without your piano moving around.